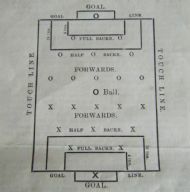 Possibly the longest running football game in the world. Essentially tiddlywinks with a football theme. 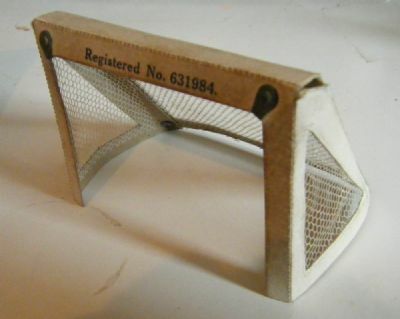 The sets over the years are characterised by nicely detailed goals and goalies. This is an early 1920's set. Faded but colourful cover art from 1920's or earlier. 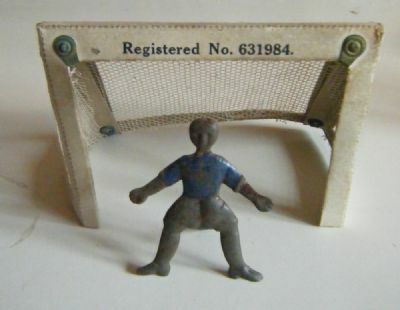 Two lovely goals with real netting plus neat tin goalkeepers. Set out a pitch on the carpet or floor. 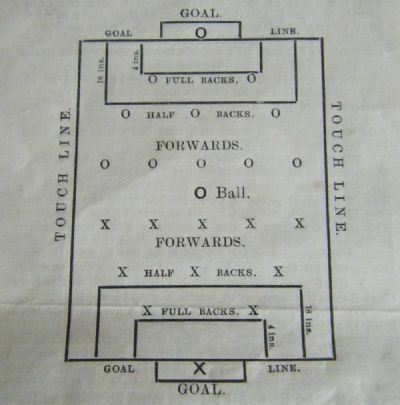 The good old 2-3-5 formation is illustrated in the rules. 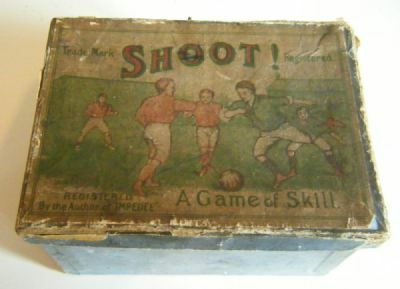 This is an early edition as the game is still refered to as new.